Lyle Sandbags Cop Trying to Get Harlem Street Named After Cardillo; Fox News Bars All Commenting on Story! 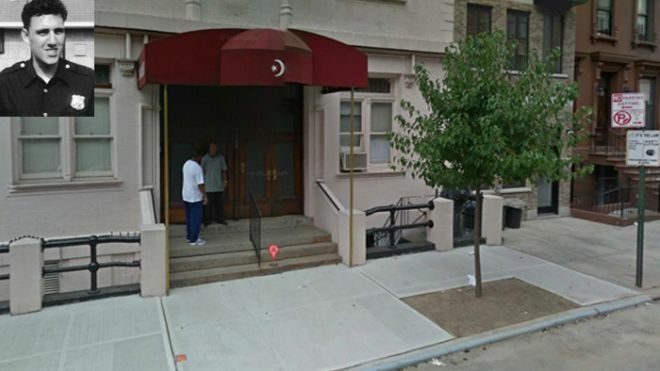 A New York police officer seeking to rename a Harlem street for a cop gunned down inside a Manhattan mosque 40 years ago was told by local leaders to seek the blessing of area Muslims. NYPD Officer Philip Cardillo was shot dead in an infamous 1972 incident in which police responded to a fake “officer down” call from Muhammad Mosque No. 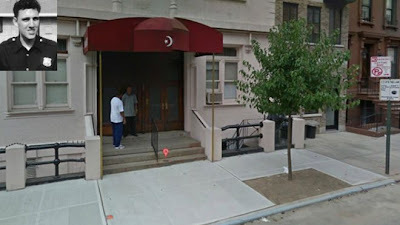 7, the New York headquarters for the Nation of Islam. The accused gunman was later acquitted, and the city's perceived unwillingness to back the police has long been seen as a low point in relations between city government and the police department. After four decades, NYPD Inspector and local Precinct Commander Rodney Harrison wants a section of 123rd St. named after Cardillo. "It's been 40 years," retired NYPD cop Randy Jurgensen, who was at the mosque when Cardillo was killed, told FoxNews.com. "It would be closure for the Cardillo family and the police officers there that day." "I think they have to give the Inspector some sort of answer." In New York, the City Council typically approves street namings on the recommendation of local Community Boards. But members of Community Board 10, which represents the Harlem neighborhood of Manhattan, have effectively blocked Harrison's plan by telling him to seek the approval of local Muslim leaders. "The biggest concern is you are opening up old wounds," one board member told Harrison, according an observer at the hearing. "This [incident] was explosive. Harlem was split down the middle," one board member said to Harrison as he was making his proposal, according an observer at the hearing. With the proposed street renaming in limbo, the irony of requesting local mosque leaders' permission to honor a fallen cop is not lost on police. "I think they have to give the Inspector some sort of answer," said Jurgensen, who wrote "Circle of Six," a book about the incident. "They have to answer the request." Jurgensen said the board seems to be trying to avoid landing in the middle of a controversy. "They are understandably playing it safe," he said. When Harrison attended the meeting with several retired NYPD officers, the board told him he should get a letter of support for the project from local imams. He said he had spoken to several and had been assured they would not object, but he did not get letters expressing their support. Harrison, who could not be reached for comment, told the board he doesn't think it is likely imams will openly back the plan. "They are not going to come in here and say, 'thumbs up,'" Harrison said. CB 10 Chairwoman Henrietta Lyle told FoxNews.com Harrison had not completed his application properly. But at the public meeting, she said the board needs to hear from the mosques and that it is up to the NYPD to arrange a meeting with the imams, according to an observer at the meeting. “They seem to be making a lot of excuses not to do this for a cop who died trying to protect that community,” said a source familiar with the issue. Remember the Nation of Islam (Zebra) Murders! The Zebra Murders: The First Victims?